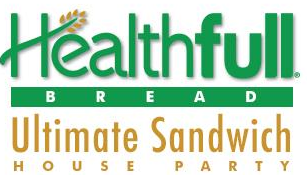 Apply to host a Healthfull Bread Ultimate Sandwich House Party! If you are selected from the 5,000 total available spots, you will receive coupons for Healthful bread, tote bags, cutting board, and more! House parties are a great way to try new products with your friends and family, but if you're not sure what they are, you can learn more about them here!